The awards come from contributions made by Pewaukee area citizens, businesses, community groups, and memorial donations. Sophia Barash, daughter of Adam Barash and Jennifer Stone, is the recipient of a Pewaukee Scholarship Fund Award. Sophia will be attending UW-Madison, and her major is undecided. Maija Beaudoin, the daughter of Steve and Laura Beaudoin, has been awarded the William Kaatz Memorial Scholarship. She plans to work towards a degree in veterinary medicine at one of the UW campuses. Taylor Bell, daughter of Mike and Kirsten Bell, is the recipient of the Hans Wienss Memorial Scholarship. Taylor will be studying physical therapy at the University of Minnesota-Twin Cities. Chandler Bentley, the son of T. Scott and Nancy Bentley, is the recipient of the M. Van Hulle Honorary PSF Award. Chandler plans to study actuarial science at UW-Madison. Abby Brodbeck, the daughter of Phillip and Debra Brodbeck, has been awarded the Fraland and Eileen Campbell Scholarship. Abby will be studying nursing at Carroll University. Jessica Brothers, daughter of Kim Brothers, is the recipient of a Pewaukee School District Administrators’ Scholarship. She plans to major in music education at UW-Madison. Allison Conrad, the daughter of Christopher Conrad and Wendy Gunderson, is the recipient of a Pewaukee Scholarship Fund Award. Allison will be studying computer engineering at UW-Madison. Lauren DalSanto, daughter of John and Terese DalSanto, is the recipient of the Pewaukee Junior Guild Scholarship. Lauren will be majoring in chemistry at the UW-Whitewater. Samantha Derzay, the daughter of Greg and Jean Derzay, is the recipient of a Pewaukee Scholarship Fund Award. She plans to study civil engineering at UW-Madison. Ryan Hegna, son of Kirk and Barbara Hegna, has been awarded the Joseph Ryan Memorial Scholarship. Ryan will be studying neurobiology at UW-Madison. Zoe Henkes, the daughter of Jonathan and Carla Henkes, is the recipient of the Margaret Schallitz Memorial Scholarship. Zoe plans to study chemistry or biochemistry at Valparaiso University in Indiana. Evan Hicks, the son of Sean and Robin Hicks, is the recipient of a Pewaukee Scholarship Fund Award. He plans to major in mechanical engineering at UW-Milwaukee. Derek Jacobs, son of Robert and Marcie Jacobs, is the recipient of a Pewaukee Scholarship Fund Award. Derek will be majoring in microbiology at UW-Madison. Matthew Lupo, the son of Mark and Stacey Lupo, has been awarded the Dorothy M. Brouwer Memorial Scholarship. He will be studying business and economics at Notre Dame University in Indiana. Erin Magennis, daughter of Brian and Jacqueline Magennis, is the recipient of the Allen Anderson Memorial Scholarship. Erin plans to study neuroscience for pre-med at Carthage College. Justin Magoon, the son of David and Mary Magoon, has been awarded an American Legion Scholarship. Justin will be studying international affairs and aspires to someday pursue a military career. He plans to attend UW-Madison. Cara Malone, daughter of Randy and Christine Malone, is the recipient of a Pewaukee Scholarship Fund Award. Cara will be majoring in nursing at the University of Minnesota-Twin Cities. Kelly Manbeck, the daughter of Keith and Tracy Manbeck, is the recipient of a Pewaukee Scholarship Fund Award. Kelly plans to major in business at UW-Madison. Samantha Marz, daughter of Richard and Maria Marz, has been awarded the Pewaukee Rotary Club Scholarship. She plans to study journalism at UW-Madison. Katelyn Mistele, the daughter of John and Debbie Mistele, is the recipient of a Pewaukee Kiwanis Club Scholarship. Katelyn will be studying biochemistry at Ohio State University. Kelsey Morgan, daughter of Scott and Susan Morgan, has been awarded a Pewaukee Kiwanis Club Scholarship. She will be in the physician assistant program at Valparaiso University in Indiana. Alaina Mundt, the daughter of Dwayne and Daina Mundt, is the recipient of a Pewaukee Board of Education Scholarship. Alaina will be studying creative writing at St. Norbert College in DePere, Wisconsin. Sam Murray, son of John Murray and Pam Purcell, is the recipient of a Pewaukee Kiwanis Club Scholarship. Sam plans to study actuarial science at the University of St. Thomas in St. Paul, Minnesota. Jordan Olson, the daughter of Anita Olson, has been awarded an Alumni Association Scholarship. Jordan will be studying computer science at Carroll University. Caitlin Osborne, daughter of Kevin and Jane Osborne, is the recipient of a Pewaukee Scholarship Fund Award. She will be majoring in biology, with a pre-medicine emphasis, at UW-Madison. 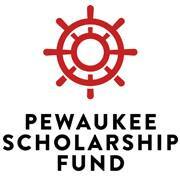 Morgan Patterson, the daughter of Patrick and Jean Patterson, is the recipient of a Pewaukee Scholarship Fund Award. Morgan plans to study biomedical engineering at UW-Madison. Allyson Pfister, daughter of Tom and Amy Pfister, has been awarded the Gene Frett Visual Arts Scholarship. She will major in art/ art education at Valencia College in Orlando Florida. Lauren Powell, the daughter of Gregory and Christine Powell, is the recipient of a WaterStone Bank Scholarship. Lauren will be majoring in special education at the University of Missouri. Allison Quartaroli, daughter of Mark and Amy Quartaroli, has been awarded a Pewaukee School District Administrators’ Scholarship. She will be majoring in elementary or special education at UW-LaCrosse. Alex Rogowski, son of Gary and Jodi Rogowski, has been awarded the FBLA (Future Business Leaders of America) Scholarship. Alex plans to study business at UW-Oshkosh. Allison Samuel, the daughter of Mike and Amy Samuel, is the recipient of a Pewaukee Scholarship Fund Award. She will be studying pharmacology and toxicology at UW-Madison. Ericka Schaeffer, daughter of James and Barb Schaeffer, has been awarded an Alumni Association Scholarship. Ericka will be majoring in psychology at UW-Whitewater. Matthew Thurman, the son of Mark and Tammy Thurman, is the recipient of a WaterStone Bank Scholarship. Matthew will be studying industrial and systems engineering at Ohio State University. Alyssa Van Altena, the daughter of John and Judy Van Altena, has been awarded a Donald N. Koepp Memorial Scholarship. She will be majoring in marketing at UW-Whitewater. Claire Wagner, daughter of Todd and Mary Lyn Wagner, is the recipient of a Pewaukee Board of Education Scholarship. Claire will major in nursing at UW-Madison. Brad Wahlgren, the son of Karen Straka, has been awarded a Donald N. Koepp Memorial Scholarship. Brad plans attend UW-Madison. His major is undecided. Morgan Wallenfang, the daughter of John and Cari Wallenfang, is the recipient of an American Legion Scholarship. Morgan plans to major in elementary education at UW-Oshkosh. Kristen White is the recipient of a Pewaukee Scholarship Fund Award. Kristen will be studying international business and pre-med at Creighton University in Omaha, Nebraska.